It’s a beautiful day today! 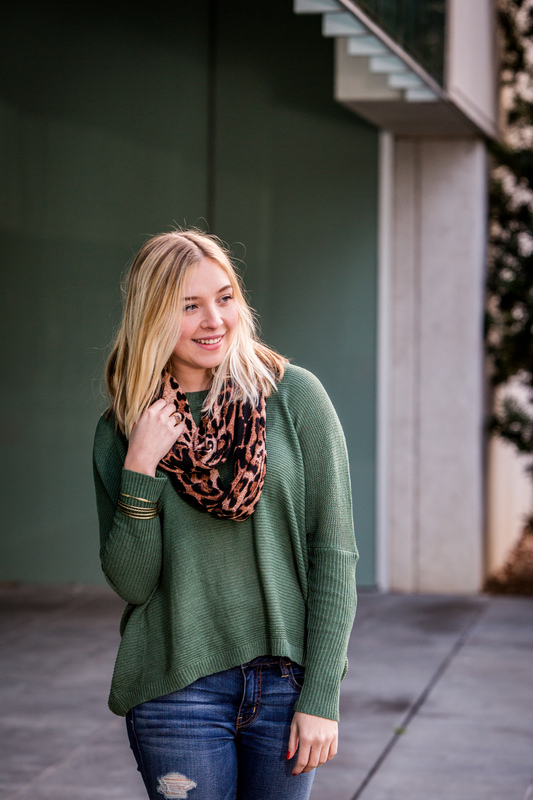 In today’s post, I decided to style a simple outfit for wearing out and about around town! 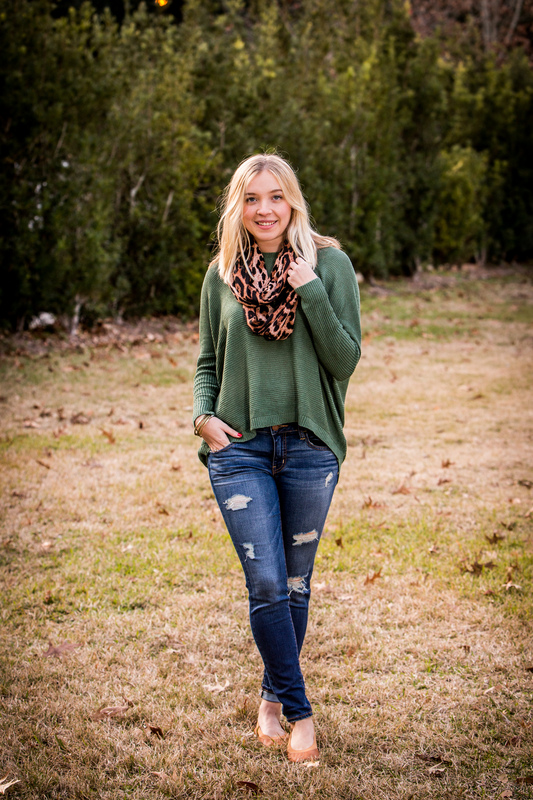 I have paired a green sweater and a leopard scarf with my favorite brand flats. Yosi Samra has the most comfortable flats that I’ve ever worn, and they fold up easily to fit in your purse! You can purchase this entire outfit at Shi Shi Clothing in Lafayette, LA. Have a great Saturday! Entire outfit provided by Shi Shi Lafayette. Call 337-984-1118 to order! Special thanks to Shi Shi for sponsoring this post. All opinions are my own.